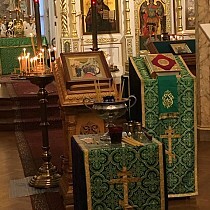 On Sunday, February 3, the feast of Venerable Maximus the Confessor and Maximus the Greek, clerics of the Eastern American Diocese of the Russian Church Abroad, Archpriest Victor Potapov (dean of the Capital Region, rector of St. John the Baptist Cathedral in Washington, DC) and Archpriest Serge Lukianov (dean of New Jersey and St. Alexander Nevsky Diocesan Cathedral in Howell, NJ), concelebrated at Divine Liturgy with His Beatitude Onufry, Metropolitan of Kiev & All Ukraine, in the Refectory Church of the Kiev Caves Lavra. 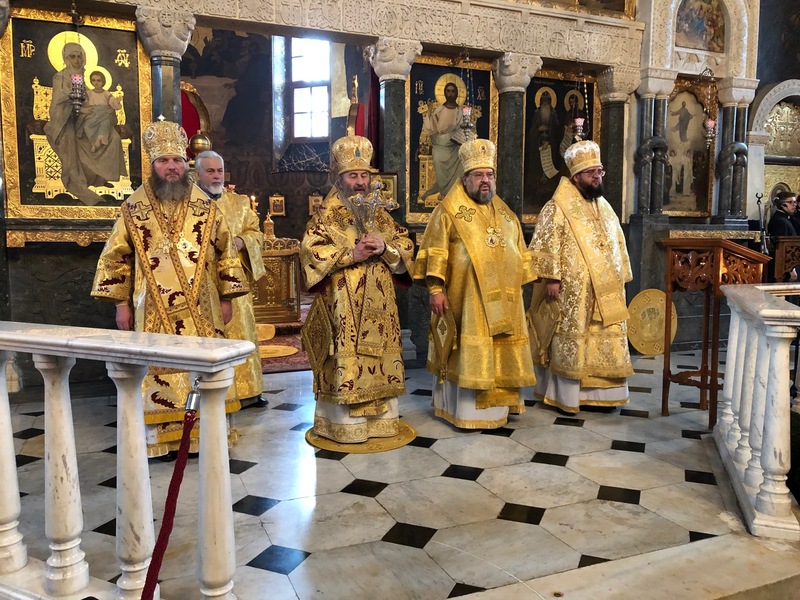 The clergy arrived in Ukraine to venerate the holy sites and express their support to His Beatitude, the hierarchs, clerics, and faithful of the canonical Church, during their current difficult trials. 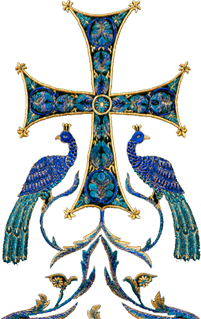 The diocesan deans were received by His Beatitude in the working residence of the Primate, located on the territory of the Kiev Caves Lavra. Here, His Beatitude, Metropolitan Onufry, conversed with the clergymen of the Russian Church Abroad and their companions, discussing the current situation of the Church in the Ukrainian land. 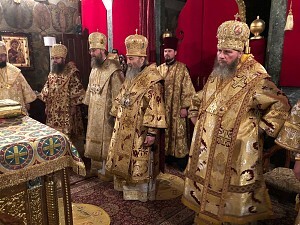 The clerics conveyed to His Beatitude the love of the archpastors, pastors, parishioners, and believers of the Eastern American Diocese, and their best wishes for good health, high spirits, and the unfailing aid of God in his difficult primatial ministry of the true Church and to the people of God. Earlier, during a prayerful protest and convocation of the clergy and faithful in one of the villages in the Vinnitsa region, Fr. Serge was given the opportunity to speak before those gathered and express the support of the canonical Church. Glory to God, the faithful of the village were able to preserve the church building and parish in the true Church. In the beginning of this week, Frs.Victor and Serge safely returned home.